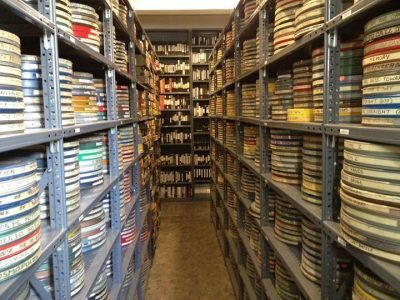 The VSW Film Archive contains over three thousand 16mm films, some of which were donated by the Rochester Public Library Reynolds Audio/Visual Department, the Audiovisual/Technical Services Division at SUNY Brockport, and the University of Rochester. The 16mm film titles span several decades and a wide range of categories including educational, animation, feature length, documentary and experimental. VSW hosts several public screenings of films from the collection throughout the year. Complete inventory coming soon! For specific information contact our collections department. The VSW Video Archive houses approximately 2500 videos from the early 1970s to the late 1990s. Video formats in this collection include standard videocassette, BETA, U-matic ¾ inch, and 1/2 inch open reel formats. The majority of the content is public access programming from the greater Central and Western New York regions and early experimental artists’ video productions. The video collection includes programming by Synapse, Portable Channel, Experimental TV Center, Ithaca Video Festival and Woodstock Community Video. It contains work by noted artists Bill Viola, Nam June Paik, William Wegman, Joan Jonas, Sanja Ivekovic and Dalibor Martinis, and Steina & Woody Vasulka. VSW maintains playback equipment for all collection formats.